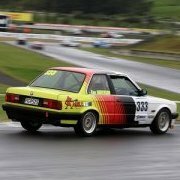 Any discussion related to the BMW Race Series. Please note you are required to be a Bimmersport member to read/contribute to this section. Technical Discussion related specifically to the BMW Race Series. Any other technical queries please refer to main forum. Please note you are required to be a Bimmersport member to read/contribute to this section.